Saivite and Vaishnavite temples of Thiruchirappalli district at this period had regular worship with rituals as prescribed in the agamic texts. Worship and offerings were provided to the main deities four times a day that included services in the early morning, midday, evening and night. Endowments were provided in terms of land, gold, money and cattle by philanthropic individuals of various strata of the society to look after these services. The early morning, mid day and night services were given importance with special offerings. Good number of records of this period reveals the way these three services were distinguished with chosen offerings. Ponagam of different varieties such as payarrupponagam, parponagam and paruppupponagam formed the main offering of the early morning service. Mantra ponagam signifies offering with chanting of special mantras. A record of Viranarasimha II from Srirangam registers the offering of two varieties of ponagam mixed with equal amount of curds to the deity. Rice with mixed vegetable curries either boiled or sautéed was provided as thiruvamudu during the midday and night services. 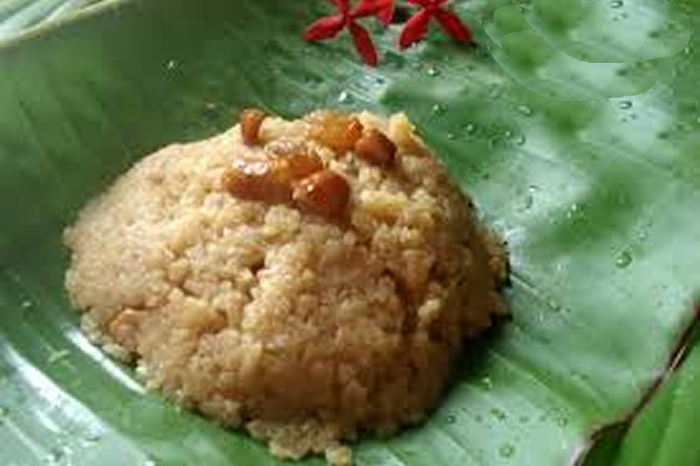 Snacks such as appam, paniyaram and special food such as akkaradalai amudu were also given as additional offerings in some of the temples such as Renganatha temple at Srirangam and Ujjivanatha temple at Uyyakkondan Thirumalai. Thiruppathiyam and Prabandam were recited respectively in the saivite (Lalgudi, Erumbiyur, Vayalur, Paluvur etc.) and vaishnavite (Srirangam) temples during important services. In some temples (Tudaiyur, Anbil) chanting of Vedas was also carried out. Sripali ritual was a regular feature in most of the temples that attracted exclusive endowments for its conduction. Special occasions that were celebrated in the temples were of two types. Sankarantis on dakshinayanam and uttarayanam, visus in the months of Chittirai and Aippasi, amavasi of every month and the days in which eclipses occurred formed the first type which witnessed services with special offerings named as perunthiruvamudu along with sacred bath to the presiding deity. Though this bath is provided in some temples during all the three services of the day (Allur), distinguished baths with 108 pots full of water marked the special occasions (Lalgudi). Water for the bath was collected from the river Kaveri to the temples that were situated near the banks. Some temples possessed special paths or lanes mentioned as thirumanchana olukkai (Pannili, Thirumangalam) to bring water from the river to the temple. Water from temple wells and ponds probably was used to provide bath wherever there was no access to the river. It is interesting to note that special appointments were made to collect water from the river Kaveri to conduct the sacred baths in some temples (Allur). An early Chola record informs that water from the Kaveri was carried to the temple in a special vessel known as thunikollik kudam accompanied by trumpets (Allur). Bath with panchakavya that included cow dung, urine of the cow, milk, curds and ghee was also arranged on special occasions. A newly discovered record from the temple of Uyyakkondan Thirumalai throws light on such a bath that was done to the presiding deity on the day of the natal star of Rajendrachola I. This record provides the exact measurements of each of the five items used for the panchakavya bath and mentions about the vessel used for it. Apart from the special occasions that occurred according to astronomical conditions certain regular services were made special in the name of the kings such as Sundara Pandyan santi, Bhuvanekaviran santi etc. and this forms the second group. Rich endowments were provided to look after these occasions with distinguished offerings. A record of Maravarman Sundara Pandya I from Thiruppainnili registers the gift of 35 veli of tax free wet land at Chentamaraikannanallur of Pachchil kurram to look after the special service arranged in the name of the king at the temple. A fragment record discovered during field work from Thiruvanaikkoyil registers the gift of tax free land to the temple to form a special service to the deity in the name of Bhuvanekaviran, a well known title of Sundara Pandya. Birth stars of the members of the royal family were celebrated in some temples on an elaborate scale with distinguished services and offerings. A record of Rajaraja I from Korramangalam mentions Chittirai Sathayam as the birth star of the great king and highlights the seven day festival that was celebrated at the temple on that occasion. His natal star on the other eleven months attracted one day festival along with special service and offerings to the deity. 300 kalam of paddy received from a land named munkil thottam, a devadana of the temple was allocated exclusively for this purpose. A record of Rajaraja I copied from Avanisundaresvara temple at Gopurappatti registers provisions made for bathing of the deity and large scale food offerings every month on the day of Sathayam, the natal star of the king and also on the day of Avittam, the birth star of Kunthavai the elder sister of the king. Sixty individuals were fed when the natal star of Kunthavai was celebrated. A newly discovered record from Thiruttantonrisvaram at Uraiyur mentions that Sathaya thirunal was celebrated under the supervision of Thiran Kali of Thiraimur, a tax collector of Rajasraya chaturvedimangalam for nine days in the month of Thai. The processional deity of the temple named Rajarajavitankar was brought to a special mandapa on that occasion to accept the services and offerings. The natal star of Kulottunga I was celebrated as Pusa thirunal at Srirangam with a special bath to the Alvan of Arangam the processional deity and appam was offered as a special dish. A record of Jatavarman Sundara Pandya I from Thiruppainnili registers an endowment made by the nattavar of Elur nadu to celebrate the natal star of the king Mulam at the temple in the form of providing special service to the presiding deity. 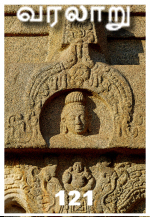 The days of the asterisms Purattati and Uttiradam which formed the natal stars of the Kodumbalur chieftains Madurantaka Irukkuvel alias Aditampudi and Chembiyan Ilankovel alias Pudiadityapidarar were celebrated every month in the temple of Thirukkarrali Perumanadikal at Thiruchchendurai. Two villages by name Kalumalam of Panaiyur Valkkai and Tuvelimangalam of Uraiyur kurram were gifted to the temple as tax free devadanas by the chieftains to take care of the services and the offerings made to the deities on these occasions. A few records from Srirangam attest to the celebration of natal stars of the generals and high level officials with suitable endowments. Common individuals also celebrated their natal stars at the temples by providing land or money in the name of deity. A record of Sundarachola from Pasupatisvara temple at Allur refers to a certain Maniyan Chirupiran of Chenkundaiyur who formed an endowment at the temple to arrange a special service to the deity on the day of his natal star Thiruvonam.